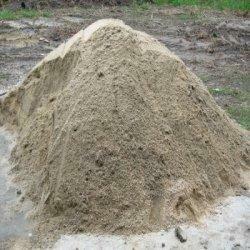 We are a well known company who deals in River Sand. In order to fulfill the ever-changing demands of our esteemed clients, we are actively Engaged in offering a finest quality assortment of River Sand that is procured from the genuine market vendors. We supply best and quality materials. With the support of our highly knowledgeable team of employees, we are indulged in offering enormous assortment of Natural River Sand. Owing to characteristics, such as flawless packing, these are highly used across diverse establishments. To cater to the diverse needs and necessities of our patrons, we offer supreme quality products. 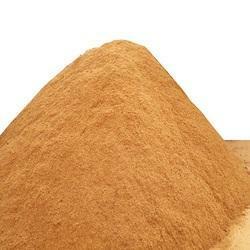 Our Company is engaged in supply of Plaster Sand in 30/40Kg bag and also bulk. This plaster sand is natural river sand from Bhandara, screened (below 3.5mm) and packed into bags. It is a high quality fine river sand which is best for plaster use. We cater to the following markters viz Mumbai, Pune, Akola, Amravati, Nagpur & nearby regions. Distributors inquiry solicited. With the help of best transportation facility, we are able to offer River Sand at customers place in quick time and in bulk quantity. Professionals show lenient behavior to patrons and do proper discussion to know their exact needs and requirement. We apply lower price for this sand.